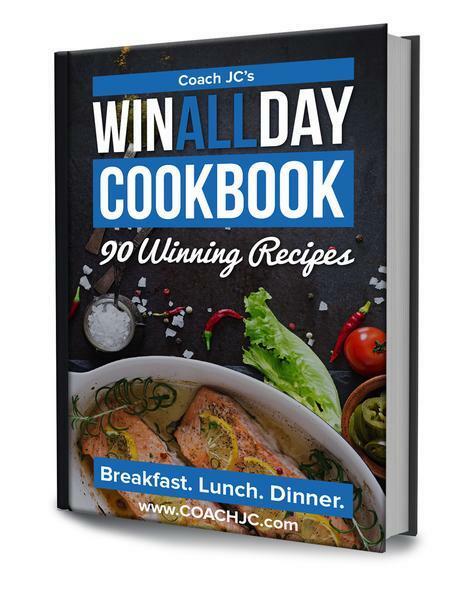 This WIN ALL DAY Cookbook is a tool to help you WIN in the kitchen so that you can have the peace of mind on how you need to eat so that you can accomplish your goals. 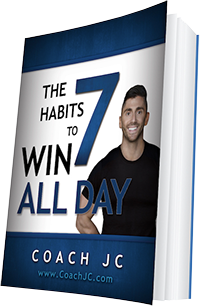 This is not a diet book but rather a game plan… a game plan of simple, great stating recipes all compliant with your 10 Habits. 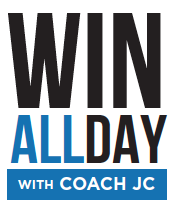 There are no quick fixes, for you to WIN in your nutrition, it starts in the kitchen with you planning and preparing. 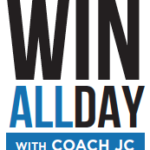 Visit www.CoachJC.com to get your book.